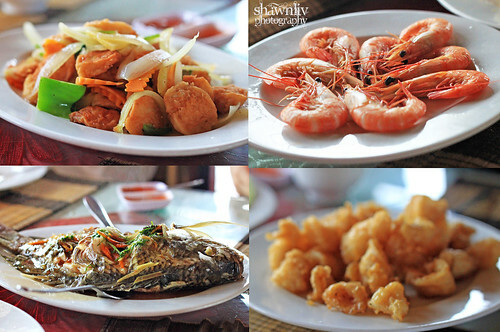 After Hotel breakfast, leave Ha Noi to Ha Long City by bus. On average, it took about 3 hours to reach there due to the 40km/hr for bus. 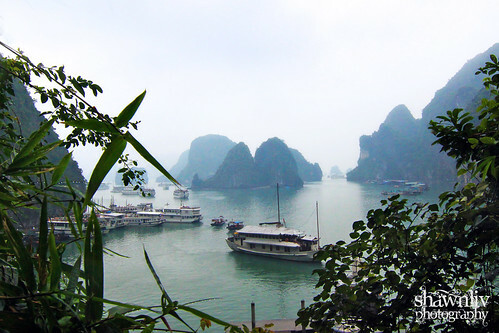 Hạ Long Bay, a popular travel destination, located in Quảng Ninh Province, Vietnam. It is a UNESCO World Heritage site, a beautiful bay with just under 2,000 majestic limestone-cliff islands scattered around the bay. According to the legend, the bay was created by a dragon who was sent by the gods to help protect Vietnam in times of war. After the fighting had ended, the dragon built his home in the bay. 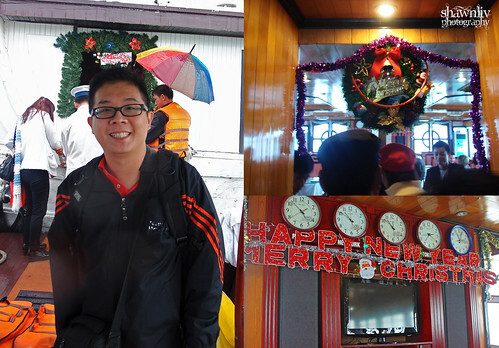 After 3 hours, on arrival at the wharf and jetty, it was a cold and a rainy day. We took a small boat to the cruise; it took less than 10 minutes to the Luxury Imperial cruise. 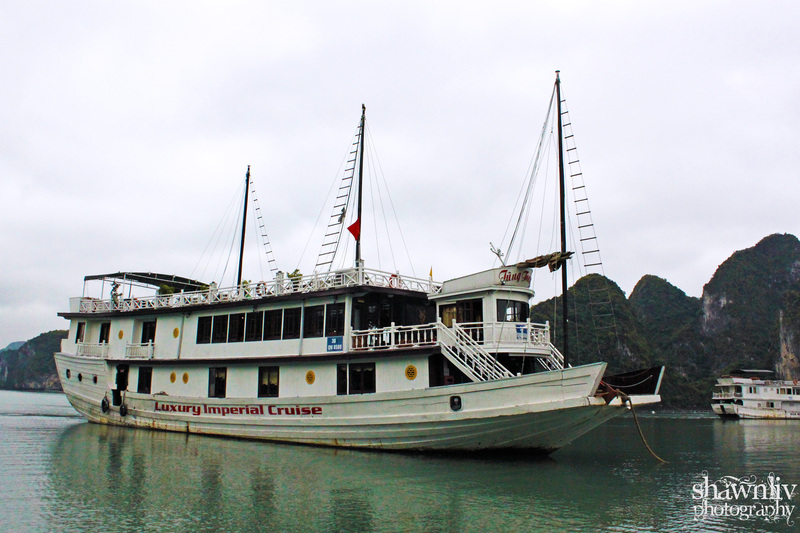 Luxury Imperial Cruise, a traditional wooden sail boat, which travels along Ha long Bay in the Gulf of Tonkin. Overall, The cruise was clean, well tended and the staffs were extremely friendly. 1 hour later, heading to the Sung Sot Cave “Amazing Cave” for a walk through. Sung Sôt or “Surprise Cave” is on Bo Hòn Island, and situated in the centre of the UNESCO World Heritage area. 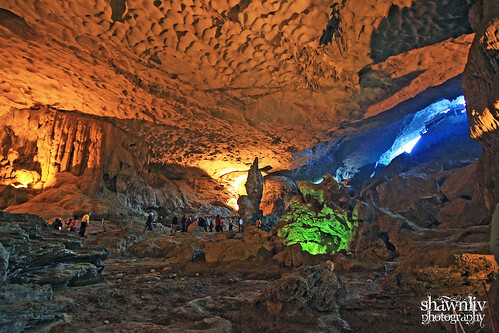 It actually got its name from the French, who called it grotte des surprises, or grotto of surprises. 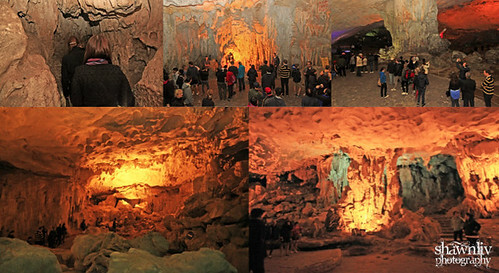 Accordingly, it is one of the largest and most beautiful caves. It covers an area of 10 000 square meters at an altitude of 25m. We are following the step path under shady trees to reach the cave. About 50 steps to the opening of the cave. 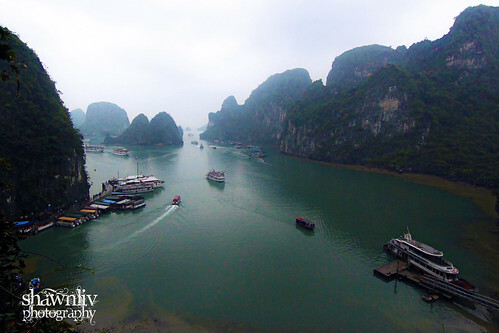 Next, experience the beauty of Ha long Bay and spend time engaging in outdoor activity “kayaking”. As the rain was getting heavier, we all decided to back to the cruise. After return to the cruise, enjoy the great view from our room windows. The food was normal but above what we expected it to be. As a whole, stay with the Luxury Imperial Cruise Ha long was one of my unique experiences in Vietnam.